More Sunshine! – The Sun Shineth again! A big thank you to monaminga! for the sunshine blogger award! I’m elated you found my blog befitting for such honour. Thanks for thinking of me and nominating my blog. Guys please do check out her blog. She post amazing posts and quotes, AND the amazing part of it all is she blogs in both in English and French. How cool is that?! 1. Thank the blogger/s who nominated you. 2. 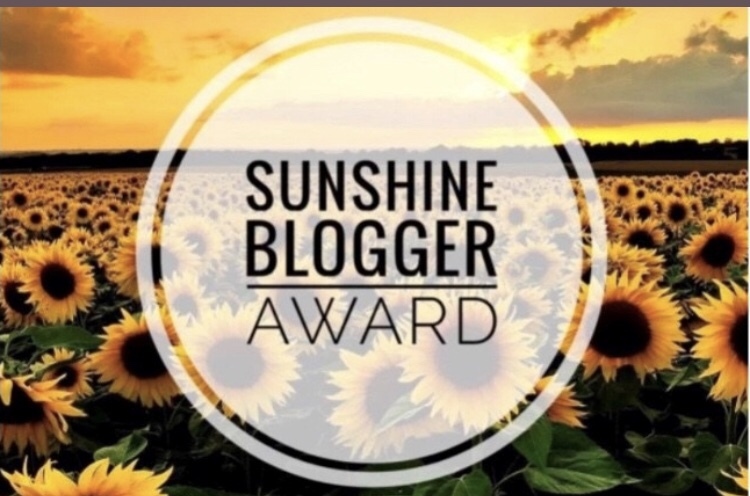 Use the “Sunshine Blogger Award” logo on your post and list the rules. 3. Answer the 11 questions the selector asks of you. 4. Nominate 11 bloggers you want to give the award to. 5. Ask the bloggers 11 questions of your own. What’s your favorite place in the house, why ?— my bed! My bed! My bed! Lol, specifically, my room. It’s my favourite because it is very peaceful and clean and comfortable. I get to be myself 200% with no judgement. Do you have a pet ? What is it ? If not why ?—No, I don’t have any pets. It just looks like a lot of responsibility. What is the first thing that you do when you wake up ?—Pray. Where do you see yourself in ten years ?–Ooooo. Sounds like a long time from now, but really it isn’t. I see myself in an established career and have obtained my last degree by God’s grace. Tell us a joke— umm…lets see..why do we tell actors to “break a leg?” Because every play has a cast. What was the last movie you saw ? How did you like it ?—Ah I can’t even remember. I seldom watch movies. Oh wait…I remember: Black Panther! I don’t remember much about it though because I was so exhausted that I slept off. How do you live your spirituality ?—In action and in practice. What’s the best advice you’ve been given ? Who gave it to you ?—“Never lose your smile. Don’t let no one or anything steal your smile from you. Keep smiling.” An elder told me so. What / Who are you most grateful for in your life ? Why ?—Tough one. But, I am most grateful for my niece. She’s a living testimony. If you could take only one thing on an isolated island, what would it be ? Why ?—A purse filled with all necessities. What’s your favourite past time activity? Next What do you want?! Congratulations 🎈🎊 You have done a great job with the award post.